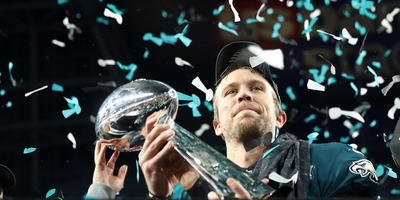 The Philadelphia Eagles defeated the New England Patriots 41-33 to win their first Super Bowl in franchise history. Throughout the playoffs, the Eagles and their fans had embraced the role of the underdog and used it as motivation. In the Super Bowl, the Eagles were suddenly a team the greater public was supporting – an odd position for any lifelong Philadelphia sports fan. Philadelphia sports fans are used to your hatred. We’re notorious – from the infamous “Snowballs at Santa Claus” incident from way back in 1968, to the Broad Street Bullies era of the Flyers, to any number of videos of Eagles fans tailgating – for raucous behaviour that is largely looked down upon by the greater world of sports. It’s not easy being a Philadelphia sports fan, and that’s just the way we like it. I saw the 2017 Eagles play on Christmas day against the Oakland Raiders. By that point, Carson Wentz was already out for the season, but Foles had looked good in his first start in his place against the Giants the week before. At the game, I asked some fans what they thought of Philadelphia’s reputation to the sports world at large. “I think we’re as passionate as any fan base. 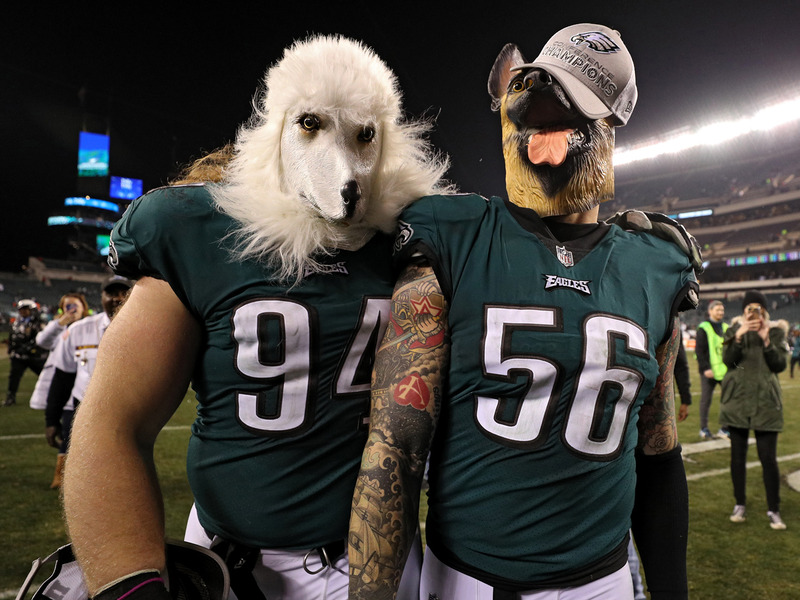 We’re a bit tougher because we’re from the Northeast,” said Chip Panico, a lifelong Eagles fan from Lansdale, PA, who had bravely dressed as Santa for the game. He was not the only one to make the point, claiming you could find fans just as rowdy in Boston, New York, or D.C., with the main difference being that those franchises didn’t have an incident with Santa Claus haunting their pasts. “I lived in Kansas City for 10 years, and everybody hates Philadelphia,” said Aaron Heintzelman, also dressed in Santa gear. His sentiment was true, up until this past Sunday. Heading into the Super Bowl, a strange thing happened – through a somewhat calamitous sequence of events, we became America’s team, just for one night. We were no longer simply the loud, proud, perennial also-rans walking toward another game inevitable heartbreak. Instead, we were loveable underdogs, lead by a backup quarterback to face the Evil Empire in the biggest game of the season. At the start of the postseason, the Eagles, and with them Eagles fans, had embraced the role of the underdog. The team’s mantra of “We all we got. We all we need.” had taken hold of the city, to a point where we truly believed the impossible could happen. “Go Birds,” had become our “Aloha,” acceptable as meaning “hello,” “goodbye,” and “I love you,” depending on context. I have been an Eagles fan all my life, and I have never heard more confidence from the Philadelphia area heading into a game as I had for the Super Bowl. It stemmed from a sense of having nothing to lose. The Eagles were underdogs at home in their first playoff game against the Falcons, and everyone was quick to write a script that lead the Falcons to victory and eventual Super Bowl redemption. But the Eagles beat them. Then the Vikings pulled out a miracle win against the Saints, leaving a trip to Philadelphia as the only thing standing in the way of the first home Super Bowl in NFL history. It was a lovely story, and many chose to embrace it. And then the Eagles beat them too. All of a sudden, the Eagles were the only team left to face down the First Order of Football and prevent them from yet another Super Bowl victory. Philly fans can be insufferable, but we still have a hint of loveable loser in us that the Boston crowd hasn’t had the benefit of since the Red Sox miraculous comeback ushered in an unprecedented windfall of championships to the city. We were still raucous, but our climbing of Crisco-greased poles after our NFC Championship win was all of a sudden a bit endearing. We were determined, and if our team could defy the odds time and time again, then a little grease wasn’t going to stop us from climbing some dang poles to celebrate. In the week leading up to the Super Bowl, it felt like the world, albeit begrudgingly, embraced Philadelphia and the Eagles. There were still detractors, but for the most part if you had a casual rooting interest in the game, you were pulling for the underdog. And unlike last year, this time, the good guys came through. Of everyone I spoke with at that Christmas game, not one person brought up Carson Wentz’s injury, or took a tone of “woe is we Eagles fans.” Asked what they wanted for Christmas, without fail they all said a Super Bowl title, and they really believed it. Now, their wish came true. The stage was set for Tom Brady to break hearts with a final gut-punching drive for the second straight year, but a strip sack from Brandon Graham stopped it before it could begin, and the Eagles, underdogs until the end, wound up Super Bowl champions. And in what might be the biggest upset of all, the rest of the non-Boston sporting world was cheering along with us. We don’t expect the goodwill to last long, and there’s no doubt we’ll be just as unsufferable in the near if not immediate future. 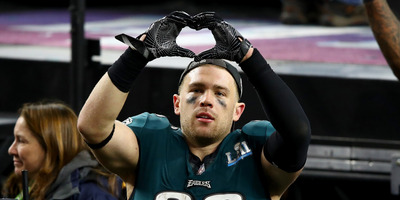 But if you adopted the Eagles temporarily last night, that game was a pretty good microcosm of what years of Philadelphia fandom can feel like – the only new part was the happy ending.